“Yesterday I went to the Imperial War Museum, not my favourite place, to see the collection of photographs that I had taken during the war for the Ministry of Information!.!.!.! It was an extraordinary experience to relive those war years; so much of it had been forgotten, and most of the people are now dead. I came away pleased that I had done such big jobs, and marvelled that I had done it with only one Rolleiflex. How it wasn’t broken, I do not know. Yet it had worked and some of them are, apart from their historic interest, extremely beautiful.” (Cecil Beaton, 1974). It’s hard to imagine a more unlikely war photographer than Cecil Beaton, best known for his fashion and society portraits, as well as his costume design for theatre and film. But it appears that he was one of those people who is annoyingly good at whatever they turn their hand to. From 1940, until the end of the Second World War, Beaton was employed by the (British) Ministry of Information, during which time he took more than 7,000 photos. A major exhibition of this work was staged at the Imperial war Museum in London in 2012, and many of these images are now viewable online. 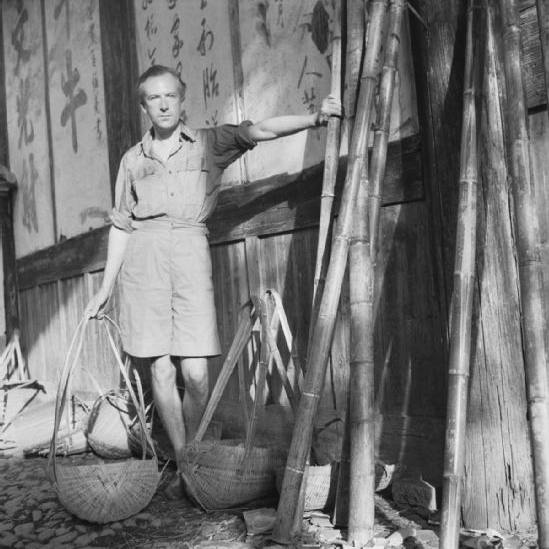 Some of the most fascinating photographs were taken during a visit Beaton made in 1944 to parts of the Republic of China controlled by the Kuomintang (KMT, Chinese Nationalist Party). Although he was kept well away from the frontline, he still managed to capture iconic wartime images. It is a sobering thought that but for a scandal in 1938, when Beaton was sacked by American Vogue magazine – for inserting anti-Semitic cartoons into the margins of his photos – that he would never have done his most valuable work, the “big jobs” as he puts it. Probably the strongest images are Beaton’s portraits of ordinary people, not a subject matter he had much experience of before the war. 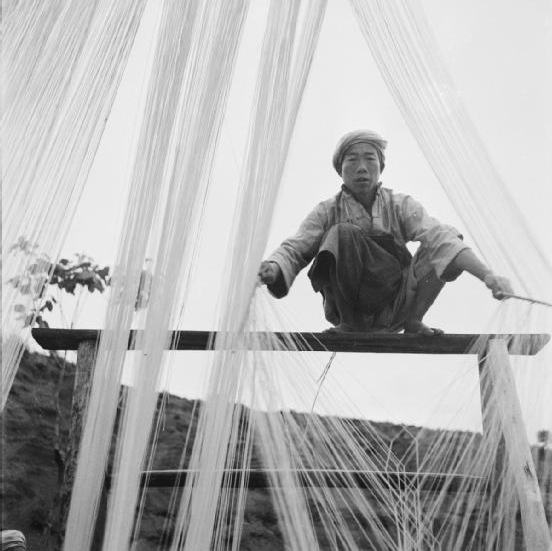 He was able to take his skills as a fashion and society photographer, and apply them to everyday scenes from life in wartime China. Beaton always placed a huge importance on physical attractiveness. Not coincidentally, many of the ordinary people he chose as subjects were easy on the eye. Even the river coolie he photographed had movie star good looks. It is important to remember that Beaton’s brief was to produce propaganda material, pictures which would raise morale at home, as well as evoking support and sympathy for Britain’s overseas allies. It was not his job to add to the already overwhelming ugliness in the world. 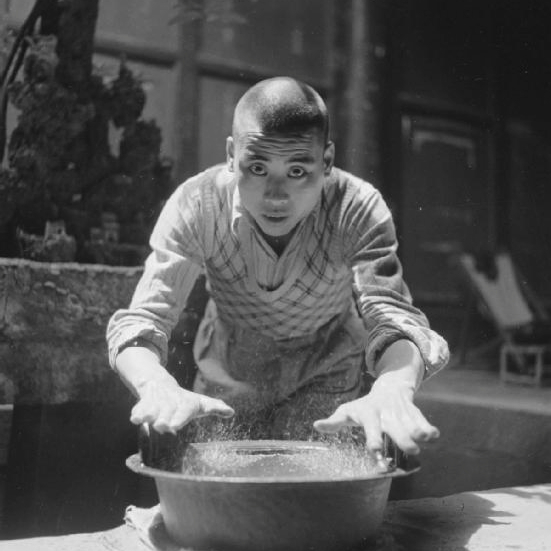 Original caption: A temple boy moves his hands over an ancient bronze bowl to make it “sing” and spray water. 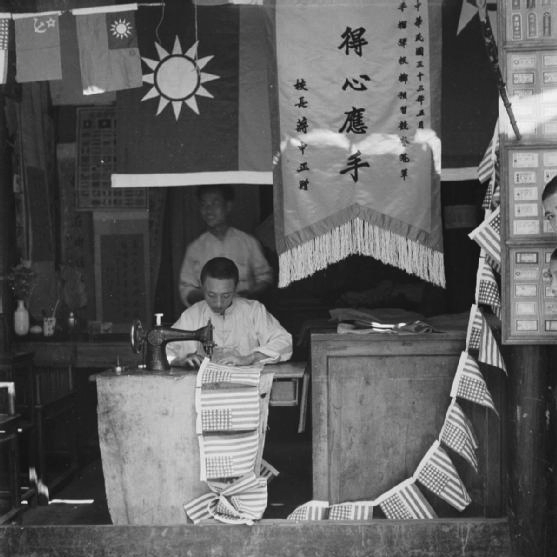 Original caption: An enterprising Chinese craftsman sewing a string of small American flags in his shop in Chengtu (Chengdu). 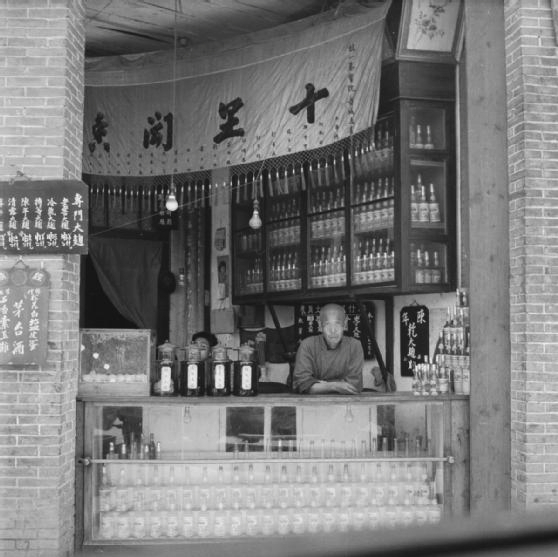 Original caption: A Chengtu (Chengdu) wine shop; the shopkeeper leans on the counter surrounded by his wares. Original caption: Making noodles by hand in the Sze-Chwan (Sichuan) province of China. Lengths of noodles stretched out to dry in the sun. 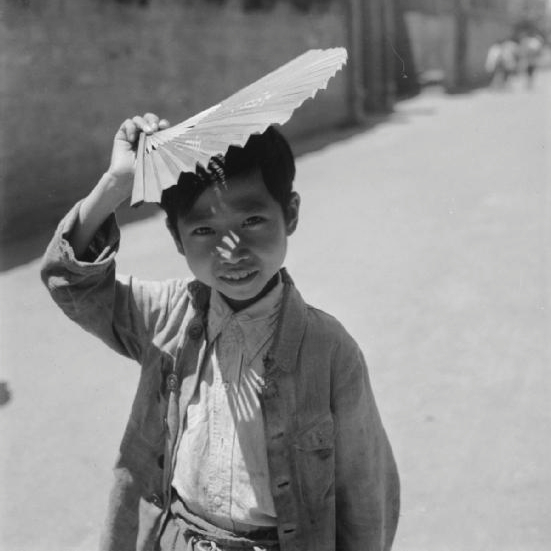 Original caption: A small boy posing with his fan above his head in Chengtu (Chengdu). 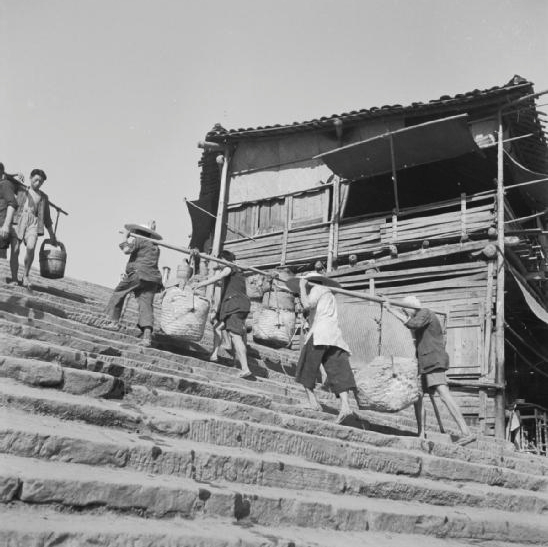 Original caption: Four coolies carry their loads on a single pole up the wharfside steps at Chungking (Chongqing). 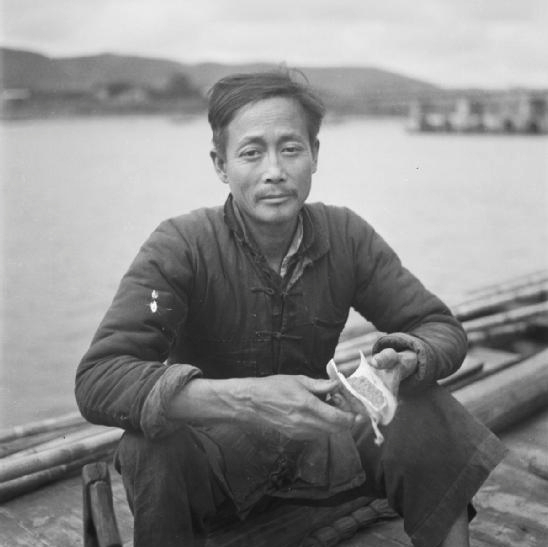 Original caption: A river coolie sitting in a ferry boat in south eastern China. Original caption: A Chinese man dramatically lit as he stands between sun and shadow in Chengtu (Chengdu). 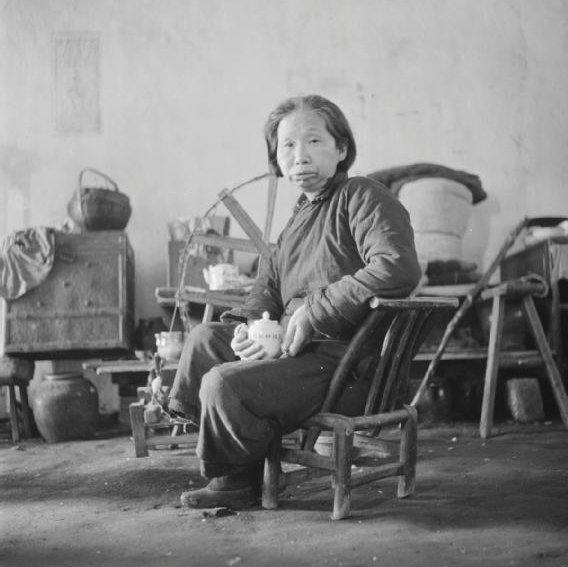 Original caption: An old woman seated on a small chair clutching a teapot in the Poor People’s Refuge in Changsa (Changsha). 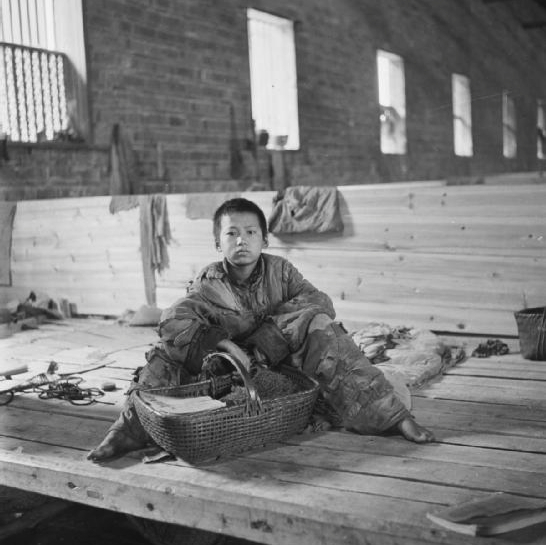 Original caption: A destitute boy with a wicker basket in the Poor People’s Refuge in Changsa (Changsha). 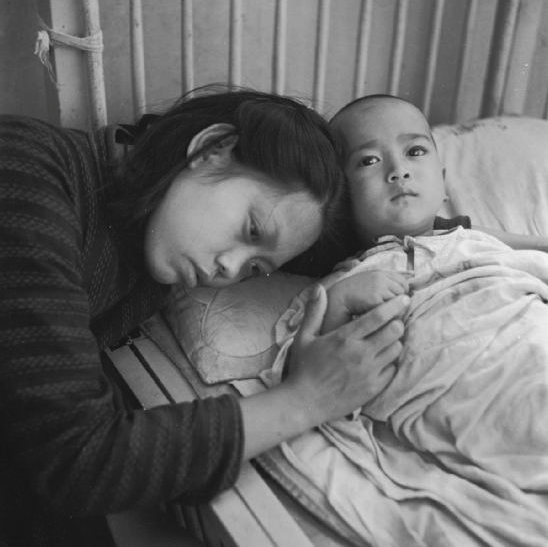 Original caption: A mother resting her head on her sick child’s pillow in the Canadian Mission Hospital in Chengtu (Chengdu). 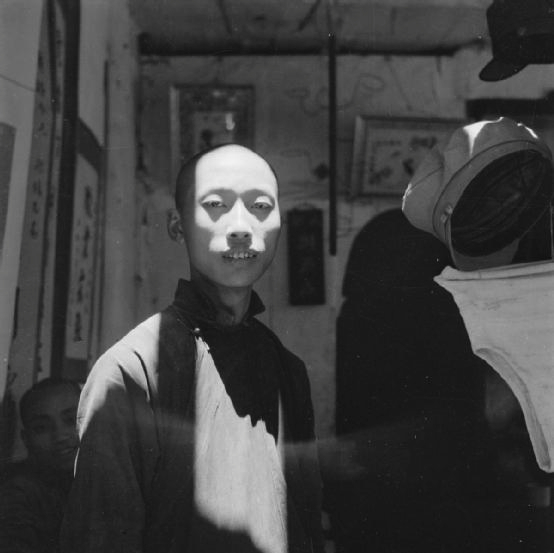 Given his background in portraiture, it is unsurprising that his photographs of well-known figures in wartime China are beautifully composed and framed. What is rather more impressive is that he achieved these shots without the elaborate equipment that he would have taken for granted before the war. Original caption: Half length portrait of Madame Sun Yat-Sen, widow of the founder of the Chinese Republic, in Chungking (Chongqing). 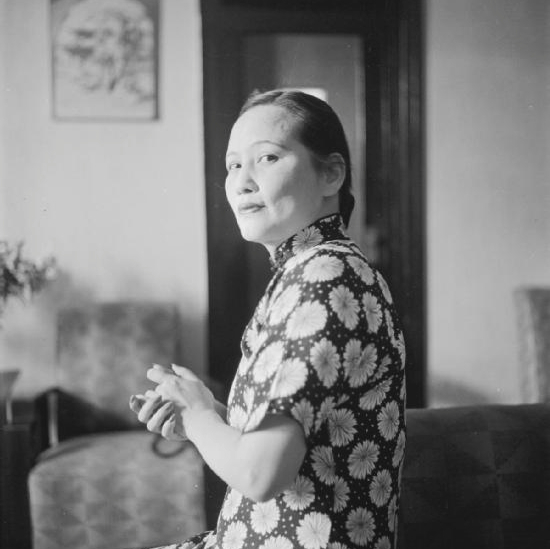 At the time, one of most famous women in the world, Beaton managed to capture this intimate picture of Sun Yat Sen’s second wife (Soong Ching Ling). Unlike her sister, Soong Mei Ling, who was married to the KMT leader, Generalissimo Chiang Kai Shek, she remained in China after the victory of the Communists in 1949. 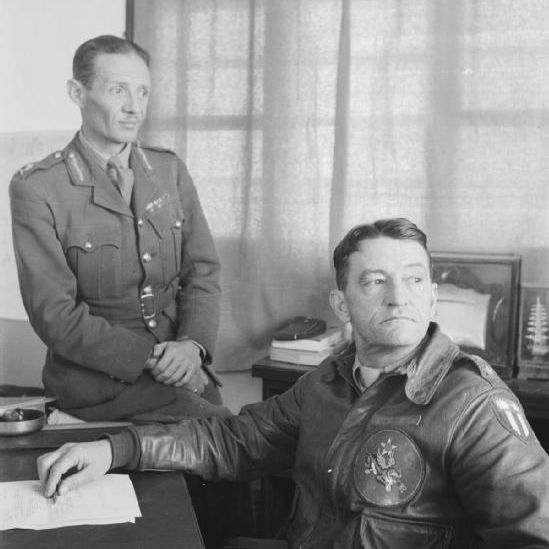 Original caption: Major General Claire Chennault, Commander of the “Flying Tigers”, with Major General Gordon Grimsdale, Commander of the British Military Mission to China. It is interesting how differently the commanders, one American and the other British, are portrayed in this shot. Claire Chennault comes across as the glamorous, somewhat egotistical, airman that he was. Gordon Grimsdale is more formally attired, and seemingly less comfortable in the limelight. 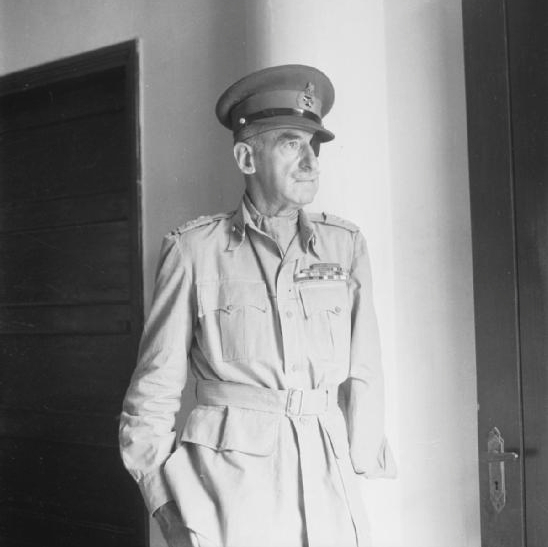 Original caption: Half length portrait of Lieutenant General Adrian Carton de Wiart VC, Mr Churchill’s special representative in Chungking (Chongqing). Adrian Carton de Wiart was a larger-than-life character, who appeared to have more lives than a cat. He served in three major conflicts (the Boer War, First World War and Second World War), and several other minor ones. He was wounded umpteen times, survived two plane crashes, and even bit his own fingers off, when a doctor refused to amputate. 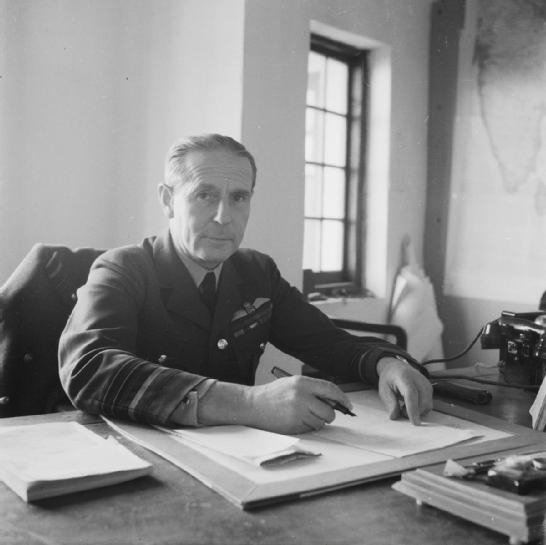 Original caption: Half length portrait of Air Chief Marshal Philip Joubert de la Ferte, Deputy Chief of Staff for Information and Civil Affairs, South East Asia Command, seated at his desk. The South East Asian Command was established in August 1943 to coordinate the Allied war effort against the Japanese. Curiously enough, before then nobody had considered South East Asia to be a geographical region in its own right. Beaton’s pictures present a very flattering portrait of the Republic of China’s armed forces. The soldiers and police officers are immaculately turned out, highly disciplined and seemingly resolute in their fight against the Japanese. Of course, appearances can be deceptive. Most of the Republic’s forces were badly led and ill-equipped, with consequently poor morale. They were just as likely to be involved in fighting against their supposed Communist allies, as against the Japanese. 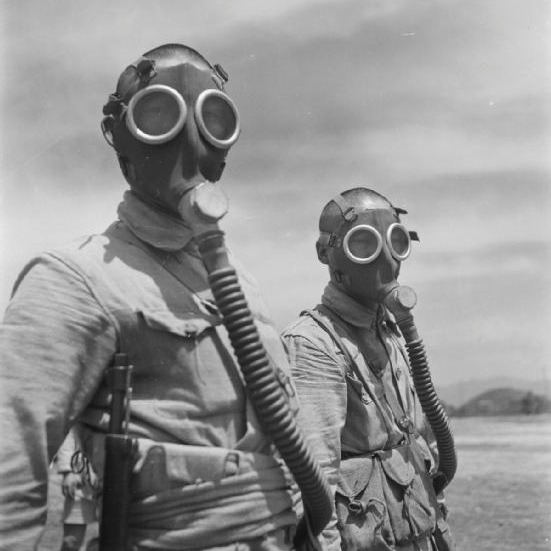 Original caption: Two Chinese soldiers wearing gas masks at Pihu Military Training Centre in south eastern China. 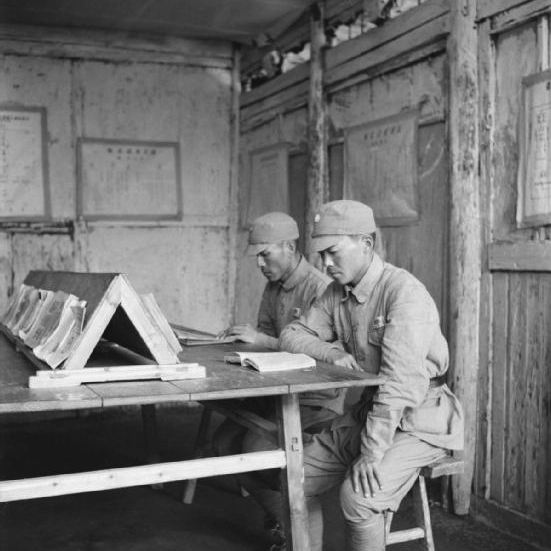 Original caption: Chinese soldiers in a barracks at Pihu Military training centre, Fukien (Fujian) province. 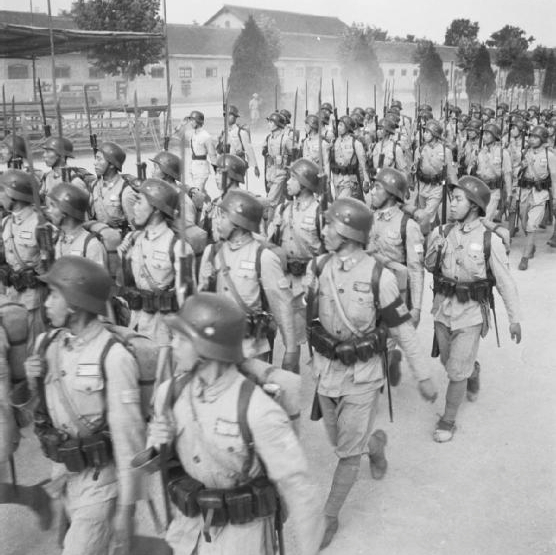 Original caption: Chinese troops practising a march past at the Chinese Military Academy at Chengtu (Chengdu). 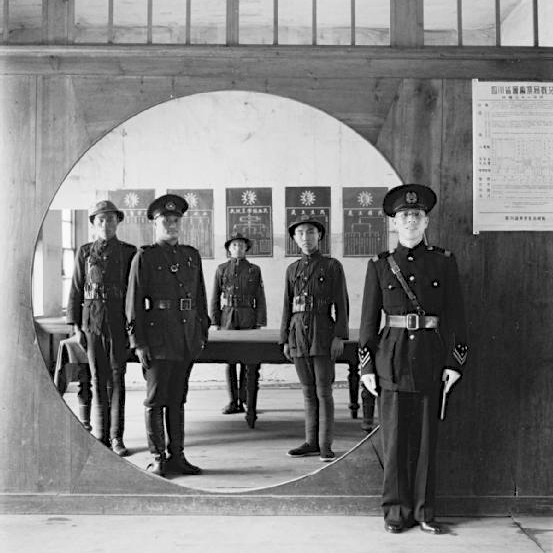 Original caption: The Chinese Police Force; the Assistant Chief of Police and his staff grouped in a circular doorway at headquarters in Chengtu (Chengdu). By 1944, it would have been fairly obvious that Allied forces would eventually defeat the Japanese. But this victory failed to bring lasting peace to China. Within a few months of the Japanese surrender, the Chinese Civil War had begun in earnest. The Communists, led by Mao Zedong, emerged triumphant, formally establishing the People’s Republic of China in October 1949. By contrast, the Nationalists fled to Taiwan, only saved from total defeat by US protection. Beaton could not have known it at the time, but the world he recorded in 1944 would be swept away in less than five years. It is this which adds greater poignancy to his wartime images of China. As Beaton observes, they are not just beautiful, they are also historic. If you enjoyed this piece, you may well like The Great Farini, Lulu Farini and the Lost City of the Kalahari, Introducing Malaya and Borneo (1948-1950), and Burmese days: the extraordinary photos of Philip Adolphe Klier.